The Crows fell just short of a top four spot in the first season of the post-Dangerfield era, with a costly final round home loss to West Coast relegating them to fifth. Their draw this year is quite manageable with Geelong and Hawthorn the only teams from last year’s top four that they have to play twice – and Hawthorn are unlikely to be such a force this year. Seven games with six day breaks will be a challenge but not an insurmountable one. I see no reason why they won’t remain an attacking force this season but feel they are probably one superstar short of challenging for a flag. Adelaide went 15-9 over the total match score line in 2016 and it will pay to watch their early games closely to see what the trend will be in 2017 – I’m expecting more of the same. After a brutal draw to open the 2016 season, the Lions have a softer draw this time around beginning with Gold Coast, Essendon, St Kilda and Richmond. They also have winnable home games against Essendon, Richmond, Port Adelaide, Fremantle, Carlton, Gold Coast and North Melbourne. Another bonus is just four matches with five or six day breaks between games. Many pundits have hastily allocated the wooden spoon to the Lions but with seven winnable home games against last year’s bottom ten, I believe they are a fighting chance of avoiding the spoon, especially if a fit Beams can play most of the games. The Lions went over the total match score line in a scarcely believable 18 of 22 games last season as former coach Leppitsch concentrated on attack to the detriment of the team’s defensive set up. Incoming coach, Chris Fagan has already flagged that this side will pride itself on defence and it may pay to back the unders in the early rounds if the bookies mark the Lions on last year’s woeful defensive efforts. Also, take on the Lions at night – they have covered the line in just one of their last 10 night matches. The Blues started 2016 with promise, opening with a 6-5 record before losing 10 of their last 11 (albeit without Murphy) to finish 7-15 under Brendan Bolton. However, the Blues scrapped their way to those seven wins. You can only scrap so far before your class deficiency starts to tell. Their roster remains thin, Tuohy is a loss, and their recruitment has failed to excite. I’m expecting them to win around four or five games and claim the spoon in a year where the bottom four win more games and the gap between the top eight and bottom four narrows. They have a reasonably friendly draw with two matches against Essendon, Gold Coast and Richmond and have only been allocated five games with a six day break. The Blues went under the total match score line in six of their last nine games and I expect more on the same this season. Carlton have clearly been a better day side in recent seasons covering the line in 23 of their last 35 day games. Conversely, they are woeful at night have only covered the line in 14 of their last 40 night games. The Pies have declined in each of the five seasons of the Nathan Buckley era and I’m not sure we’ve seen the bottom yet. Serious question marks remain over the club culture and Buckley’s prowess with the clipboard. While they do get some forward line talent back from injury such as Elliott and Fasalo, their recruitment has been questionable and their backline looks alarmingly thin. The Pies once again have a leg up with 14 matches at their MCG home but this is offset by only one double up match against a bottom four side – Essendon. Other double up matches will be against Geelong, Hawthorn, Melbourne and Port Adelaide. The Pies were an under side in 2016 going under the total match score in 14 of 22 games but with Fasalo and Elliot returning to bolster the attack and the defence looking shaky, it would not surprise to see them develop into an over side, especially if the bookies set the lines on last year’s form. Collingwood have a poor recent day record, covering the line in just 7 of their last 21 day games. The Dons are a real question mark in 2017. An influx of 10 players coming into the side off a year out of the game is clearly unprecedented. Realistically, most if not all of these 10 players are unlikely to have a career best year this season. 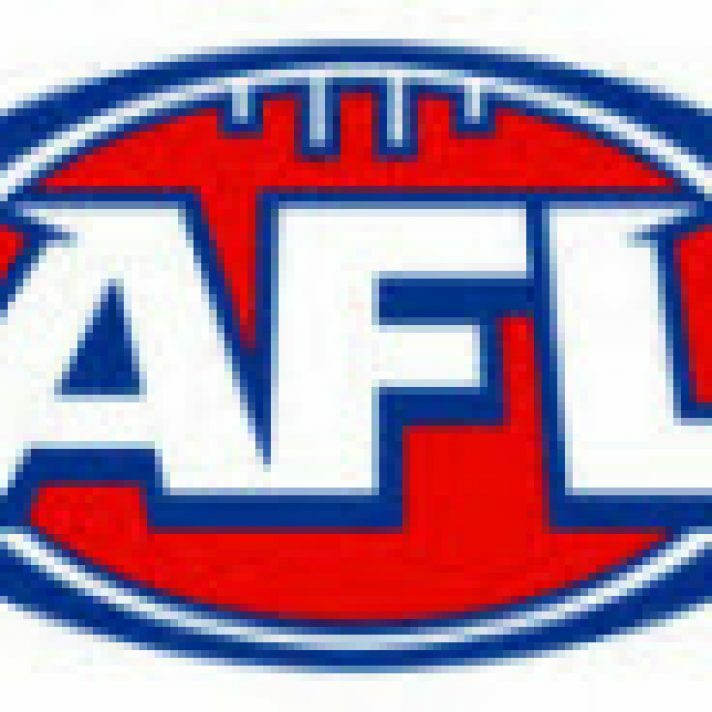 They have been dealt seven games with a five or six day break between games and fare poorly in comparison with fellow bottom four sides Brisbane, Gold Coast and Fremantle in this respect. This is offset somewhat by double up matches against Brisbane, Carlton, Collingwood and Fremantle with only Adelaide from last year’s top eight. The safest course of action is just to watch Essendon early in the season, but if pushed, I would be betting against them – they are clearly closer to the bottom four than the top eight. It’s worth noting that they have covered the line in 22 of their last 34 night games. The Dockers had an unprecedented slide down the ladder in 2016, going from minor premiers to 16th. However, their minor premiership of 2015 was a mirage, underpinned by winning six of seven games decided by 12 points or less. A slide was always on the cards for 2016, but certainly, the extent of the slide was a surprise, even with the season ending loss of Fyfe and Sandilands. With injured stars returning and a proactive recruitment drive (Kersten, McCarthy, Hill, Hamling) a rebound is very much on the cards. This will be aided by a kind draw which sees them play just four games with a six day break and double up matches against Essendon, Richmond and North Melbourne. Even with multiple rule changes that increased scoring, the Dockers were an under side in 2016 going under in 13 of 22 games. Barring a surprise departure from Ross Lyon’s long term coaching philosophies, it would not surprise to see Fremantle remain a strong unders side. Freo also struggle off the six day backup covering the line at just 7 of their last 25 games off a six day back up. The steam is probably still coming out of Chris Scott’s ears after his side were bundled out of the finals off the back of playing only two games in four weeks – this will not sit well with those at the Cattery. While the Cats didn’t make waves with their recruitment, their excellent club culture, astute coaching and Patrick Dangerfield at the peak of his powers ensure that they will again finish in the top four. They will have to contend with just seven genuine home games, eight six day breaks and a tough double up schedule against Adelaide, GWS, Hawthorn, Fremantle and Collingwood. The Cats miserly defence ensured that they went under the total match score line in 16 of 24 games last sense, bucking the league wide trend towards higher scoring. Watch the early rounds closely to see what is in store for 2017. Geelong have a long term record of struggling to cover big lines. They have only covered the line in 11 of their last 26 games when 30.5+ point favourites. After a disappointing 2016, the Suns have hit the reset button and will be hoping to strike it rich with their draft crop to complement key position players at the back (May) and front (Lunch) who are approaching their prime. Their recruitment has been solid but they will fall well short of what is required to compete in the finals. The Suns have a tough draw to start the season but will be advantaged by just two six day turnarounds – the fewest in the league. They have double up matches against Brisbane, Carlton, North Melbourne, Port Adelaide and Hawthorn which will help. The Suns don’t mind a shootout in the day time – they have gone over the total match score line in 31 of their last 45 day games. Every man and his dog is tipping GWS for the flag this season and why not? They went down to eventual premiers, the Western Bulldogs by just 6 points in last year’s preliminary final and many of the 20 odd first round draft picks on the roster are reaching the 50-100 game mark. They’ve also cannily acquired Brett Deledio who looks to be a very good fit for this roster. But what stands out most for me is that last year they went 1-4 in regular season games decided by 12 points of less. In the past decade, around three quarters of teams that had several losses of 12 points or less one season, won more games the following season as their luck evened out. Accordingly, I expect GWS to rise from 16 wins to around 18-19 wins on their way to a maiden premiership. Their chances will be enhanced by a relatively soft draw to start the season and only two distant road trips in total to Adelaide and Perth. Even better, they have just five six day turnarounds while many of their key top four rivals will have to contend with seven or eight short turnarounds. A tougher draw towards the end of season should have them cherry ripe come the finals. The Giants are on a rapid improvement curve so recent stats mean less than they for other clubs and you need to monitor them closely. They have been an under side for the past two seasons going under in 15 of their last 22 day games and 8 of their last 10 night games and this may well continue. Hawthorn’s quest for a four peat was kept alive longer than it should have been due to the poise of their veterans which papered over the cracks and saw them prevail in an amazing six of seven games with a margin of two goals or less. However, this is simply not sustainable and over the past decade three quarters of teams that had several narrow wins in a season slid down the ladder the following year. Alastair Clarkson is no fool and has seen the writing on the wall – full credit to him for hitting the reset button early and attempting to regenerate. There is no question the Hawks will slide this year, probably around four games to 13 wins or thereabouts but a bigger slide to 10-12 wins would not surprise me. They have a good draw to start the season but will be tested by an equal league high eight six day breaks and double up games against Adelaide, Geelong, and Sydney. This is a good year to take Hawthorn on but be careful about doing so in day matches where the Hawks have covered the line in 17 of their last 29 matches. They also went 10-1 at home last season. The Dees have been specked in premiership betting firming from $26 to $21 in some markets. Much improved team that finished two games outside the eight in 10th spot. Don’t be too concerned with the departure of Supercoach Roos as Goodwin was very much involved in the week to week coaching of the side last season and is ready to step up to the plate in his own right. The Dees have a mixed draw. They have a dream start and don’t leave Victoria until Round 8. They also only have one double up game against a top eight side from last season – Adelaide. However, they must contend with eight games off a six day break and are the only bottom ten side from last season that has to play off a six day break more than six times. Take them on at Etihad where they have lost 24 of their last 25 games including both matches last year by 36 and 39 points. Many have been quick to write off North this season on the basis that they went 3-9 in their last 12 regular season games, got spanked by Adelaide in the elimination final and have parted ways with four key veterans. Yes, North will slide, but it won’t be the big slide everyone is expecting as they had the hardest draw in the AFL last season and this year’s draw is considerably easier. The Kangas do play five of last year’s finalists in the first nine rounds but only leave Victoria once in this span. Importantly, they have just four six day turnarounds and double up games against four non-finalists in Gold Coast, Fremantle, Melbourne and St Kilda. North revel in the underdog tag and this in borne out by the stat that North have covered the line in 21 of their last 31 matches when an underdog in Victoria. Port had another inconsistent season in 2016 but in fairness, were hurt by the loss of two key ex-Essendon personnel in Ryder and Monfries. Should those two hit the ground running, Port can be expected to improve. Port went 10-12 in finishing 10th but they were not that far away from the finals when you factor in their percentage of 106.0 and going 0-3 in games decided by two goals or less. I expect them to claim the last spot in the eight and possibly creep up to seventh if Hawthorn slide further than anticipated. The draw is largely favourable with Port having just three six day breaks and highly winnable double up games against Brisbane, Gold Coast and Collingwood. Port love it at night covering the line in 23 of their last 33 night games. Richmond had yet another slow start to the season in 2016 and never recovered finishing 8-14. Even if they had done better than the 2-4 they went in games decided by two goals or less, they would still have finished short of the top eight. They have lost significant experience in Deledio and Vickery and you can’t argue that the recruitment of Prestia, Caddy and Nakervis represents a significant net gain. Another long winter awaits at Punt Road. The Tigers will have to contend with six six-day breaks – more than most of their bottom ten rivals although they will take some heart from double up games scheduled against Brisbane, Carlton, Fremantle and St Kilda. The Tigers have been a long term under side under Hardwick going under the total match score line in 57 of their last 90 games. Watch the early games to see if their defence holds up. The Saints have been specked in the premiership betting firming from $26 to $21 in some markets. The Saints were fun to watch in 2016 and nearly ran their way into the finals with a 12-10 record. They have bolstered their depth with Nathan Brown, Jack Steele and Koby Stevens joining the club while Jake Carlisle will be a welcome inclusion. While some pundits are tipping St Kilda to crack the eight on the back of their Etihad dominance, this simply will not happen unless they can grab a win or two interstate. The draw didn’t smile kindly on the Saints with no double up games scheduled against last season’s bottom four while North Melbourne who finished one place ahead of Saints have scored two double up games against last year’s bottom four. The only saving grace is 14 Etihad games and just four six day breaks. Take on the Saints when interstate as they are currently on a nine game losing streak interstate with their last win outside Victoria coming against Brisbane in Round 9 2015. They have six interstate games to contend with this year including two trips to both Perth and Adelaide. The Swans were runners up last year on the back of All Australian seasons from Franklin, Hannebery, Kennedy, Parker and Rampe. They were minor premiers with a 17-5 record and could have won 18 or 19 games had they not lost four games by two goals or less. Yes, Mitchell is a loss but plenty of talent remains and the Swans are one of the best in the business at developing their youngsters. With even luck on the injury front, they’ll be in the top four. They have a softish draw to start the season playing six bottom ten sides in the first ten rounds. But that is evened out by tough double up matches against GWS, Western Bulldogs and Hawthorn along with seven six-day breaks. The Swans play their best footy in the daytime covering 30 of their last 46 day games, but not so well at the MCG covering just 4 of their last 12 at HQ. The Eagles were slow from the barriers last year before storming home with a wet sail to win nine of their last 10. They were then shocked by the Western Bulldogs at Subi in the elimination final. However, a closer look at their results reveals that they had a 4-1 record in close games decided by 12 points or less. As explained earlier, in the past decade, three quarters of teams that prevailed in several close games won few games the next season. Despite the acquisition of Mitchell, the ruck remains a headache in Natanui’s absence and I’m expecting a slight fall to 15 or 14 wins. The Eagles have a strong home ground advantage and a fair draw with five six-day breaks and just two double up games against last year’s finalist being GWS and the Western Bulldogs. With Josh Kennedy bagging 82 majors and a potent forward line including Darling, Le Cras and Cripp, I found the bookies tended to set the totals line too high. A strong defence ensured that West Coast were a big unders side last year going under in 16 of 22 regular season games and it may pay to watch to see how the defence shapes up early and if the bookies again set the total match score line too high. Well, the Western Bulldogs enter the season as reigning premiers – something that was scarcely credible at the start of the season. Without wanting to discredit their tremendous achievement, there is little doubt in my mind that the pre-finals bye massively cruelled the chances of Geelong and GWS who were playing only their second game in four weeks when bundled out of contention. The Bulldogs were able to take advantage of the farcical scheduling and well done to them. Many pundits are suggesting the Bulldogs might struggle due to going from the hunter to the hunted and battling a premiership hangover. However, I prefer to deal in facts and a closer look at the Bulldogs results shows that they rode their luck all season going 6-1 in games decided by two goals or less. As previously explained three quarters of teams in the past decade that prevailed in several close games had fewer wins the following season. I also note that the Bulldogs percentage is at least 15% inferior to Sydney, Geelong, GWS and Adelaide . They will clearly be up against it this season and I’m forecasting them to stay on 15 wins or drop to 14 wins. I expect the bookies to give the Bulldogs far too much credit for their premiership when setting the match lines in the early stages of the season and there could some good opportunities to back their opponents to cover the spread. However, note that the Dogs love being underdogs and have covered an impressive 15 of their last 19 games when 0.5 to 15.5 point underdogs. Published on March 18, 2017 in AFL. Published on 7th August 2013.